This was my recent statement to my ministry minded middle many miles away. (Hope you enjoyed the alliteration)! Foolishly I supposed that my olive shoots would be good to go when they got up and went. WRONG. A text my Soldier sent me. He knows I love words and have experienced a great deal of shemozzle lately. 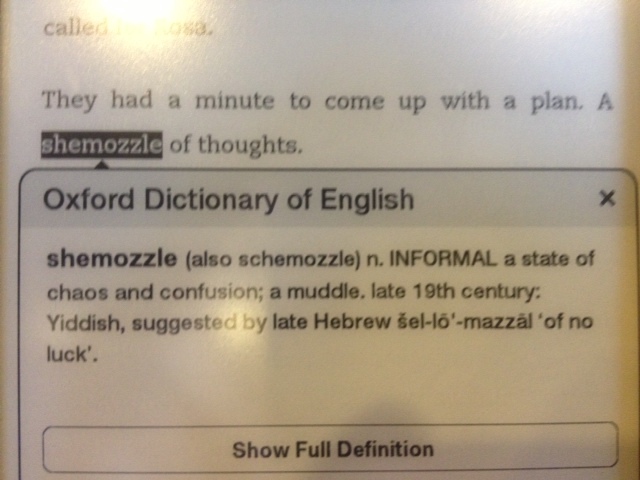 I have discovered that there is great shemozzle in the land outside the oasis of my home. Frankly, chaos can also stir within our own abode as well but WOW, I’m often shaking my head in disbelief at the trouble in the world. And I’m not talking about the country’s problems, either. Ten days ago, I took the Hubs to the hospital because the urgent care facility thought he had a ruptured spleen (he didn’t but the Hubs has a broken rib and chest contusions following a very random fall). Hours later my oldest OS began Ranger School. That sounds like a very full day but there was more. Later that afternoon my ministry minded middle called me with a very distressing situation. My head and heart were overwhelmed and utterly incredulous. Then the orange hair, freckle face OS had a basketball game that night. All I wanted to do was enclose him in bubble wrap. Ike was fine but the Hubs was in so much pain, I considered calling an ambulance. I used to pray for my olive shoots to be potty trained, to not hit their brothers. I lifted them up to the Lord for sportsmanship, purity, kindness, respect. They are potty trained and refrain from random acts of violence. We have made progress. Now my job has changed. It struck me, if I did nothing else during the day, I should at least be praying for my olive shoots. If you see me walking, I am not talking to myself. I do not hear pretend voices, do not be afraid. I do not own a Blue Tooth either. I am simply praying to the Lord, probably for my kids. And the Hubs. And me. Maybe even for you which is not quite as random as it might seem. These are the things which cheer my soul. Can you relate? 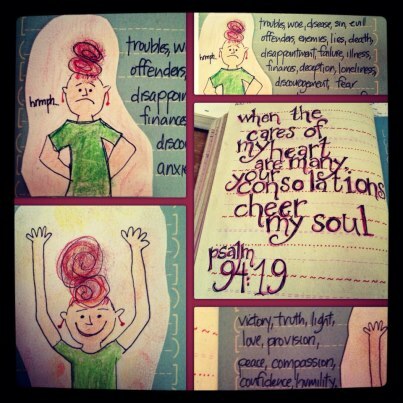 This Scripture I have drawn, it was part of my weekly reading for a women’s Bible study? Coincidence? HA! I needed to read these and claim them! 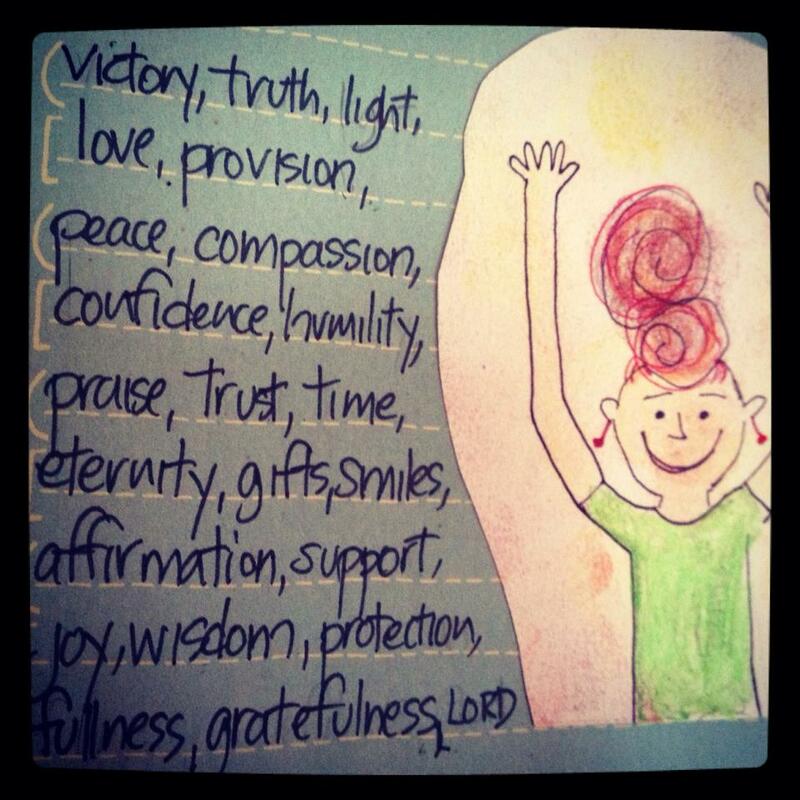 Can you identify with any of the cares of my heart that I have listed? How about the consolations? Please share!